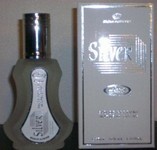 Silver Pen Atomizer perfume is an oriental fragrance with woody and floral notes, very light and refreshing. It was first intended to be men's fragrance, but very soon it became unisex, as women liked it too.Silver Pen Atomizer perfume comes in a cylindrical pen like design that clips on to the pocket or fit neatly into your handbag and is excellent value for money. 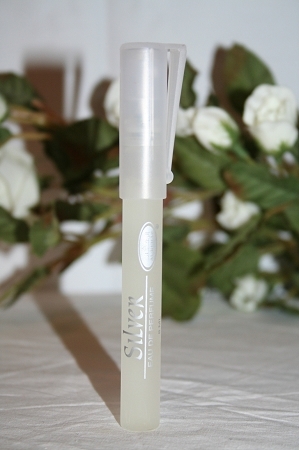 Silver Pen Atomizer perfume makes an ideal and highly recommended gift. These Pen Atomizers donot come filled upto the tip, there is some air (probably for it to work better). 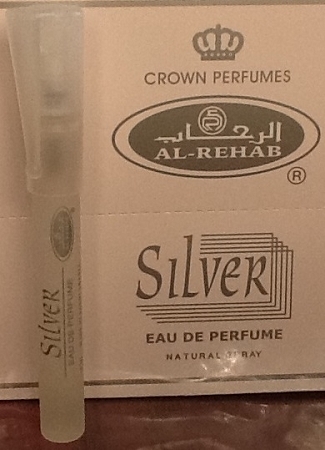 Unlike Al-Rehab roll-on oils, Pen Atomizer perfume contains denatured alcohol. Pen Atomizer perfume is not boxed, shipped as such. This is a nice fragrance and after hearing the comparison to creed silver mountain water I decided to check this out and I will definatley be ordering some more of these fragrances for al rehab as soon as they are available. This pen is conveniant and has that good Silver smell, awesome for the price. My husband has ordered this pen atomizer for himself, but the smell is so great that I´m using it too. It smells delicious!